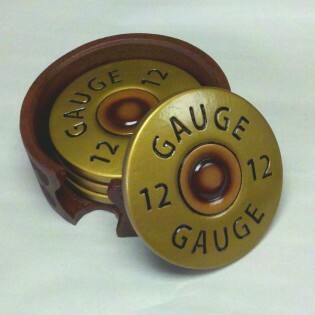 Shotgun Shell Coaster Set. Made of hand-cast resin this set of 4 coasters are made to look like the end of a 12 gauge shot gun shell. Your favorite hunter will enjoy these rustic coasters. The entire set in the holder measures 5" in diameter x 2" high.